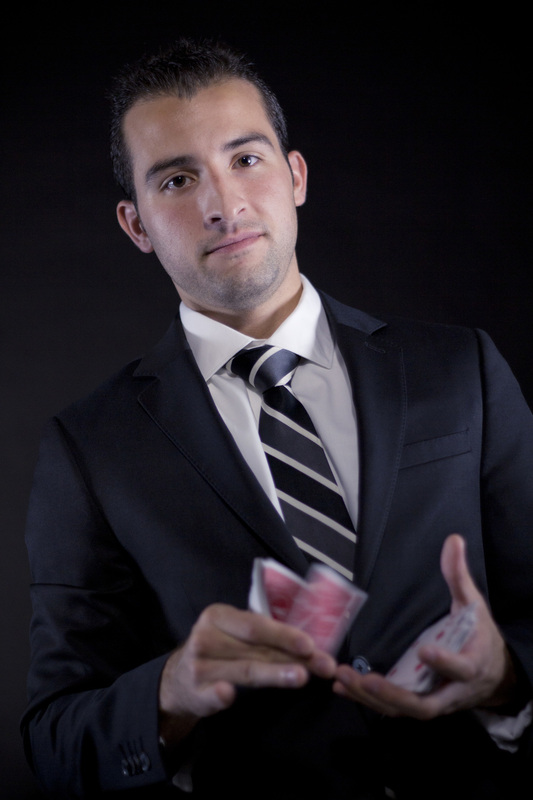 Eric specializes in strolling close-up magic and mentalism. He has performed for thousands of people all over the world. By performing sleight of hand, close-up magic and mind reading your guests will witness things they’ve never seen before. Eric has performed at countless weddings, Bar/Bat mitzvahs, surprise parties and even small get togethers. Your guests will experience something amazing that they’ll continue to talk about for years to come. Big or small Eric has performed for some of the largest corporations in the world as well as boutique size start-up company's. Eric will provide an amazing and memorable experience for all of your guests. “Nothing draws a crowd like a crowd” and Eric will draw huge crowds to your booth. Eric will astonish and amaze guests as he reinforces your companies brand. Eric has performed at some of the top restaurants in NYC and can currently be seen live every Sunday at LAVO. Contact Eric if you’re interested in having him perform at your bar, restaurant or nightclub.